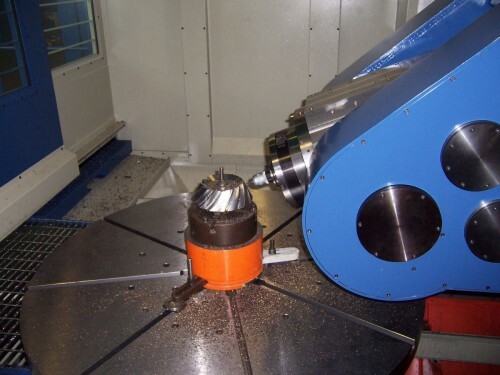 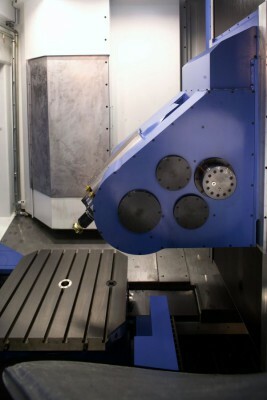 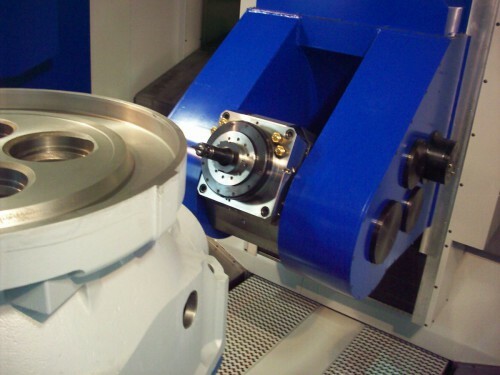 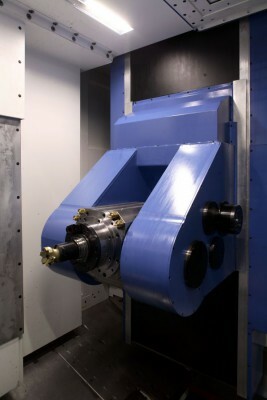 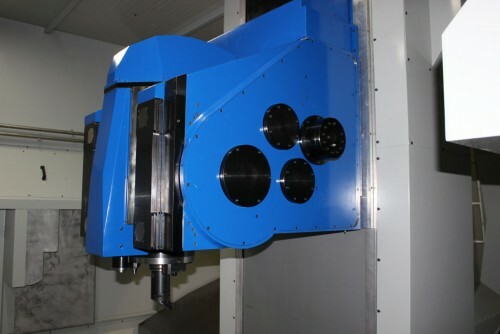 The head in which the spindle is housed rotates around a continuous axis controlled by the NC to allow for 5-axis operations. 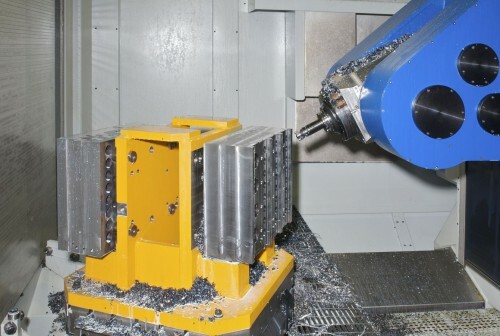 This is an optimal solution for roughing and finishing operations to be carried out on surfaces difficult to reach and on work-pieces with very complex sections. 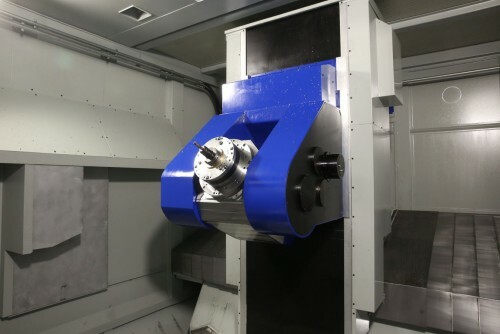 The tilting head is available both with new generation mechanical spindles to guarantee high torque rates and with electro-spindles to provide higher compactness and rotation speed rates at the same time. Top level accuracy is guaranteed by the backlash recovery systems and the encoder providing a direct measurement of the tiling axis position.